Personal Network Server is the home version of our Financial Data Server. PNS is the result of technology developed for Financial Data Server and MultiFeed Server. PNS expand your point of view around the same symbol supplied by different vendors. Our solution allows comparing the same realtime quotes, provided by two or more different realtime feeds. PNS allows sharing all your realtime datafeeds in your intranet. Now you can use the same datafeed for unlimited copy of TradeStation 4.0, TradeStation 2000i, MetaStock 6.52/7.0/8.0/9.0, Advanced GET for TradeStation 2000i and TradeStation 7and not only by MultiFeed Technology you is able to manage all your RealTime Feeds in the same time. To your PNS Server you can import, for your collected symbols, any historical data from OMZ, XPO, ASCII, MetaStock format. By PNS Server you can analyze the realtime quotes, for the same symbol provided by two or more realtime suppliers, manage, calculate any own index in realtime by Excel and feed immediately the result to all connected users. 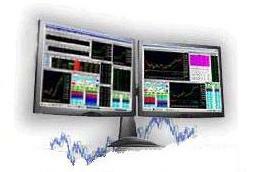 Supported datafeeds: eSignal, QCharts, TalNet, QuoteSpeed, MFSat, XRay, Reuters, Bloomberg, MFSat-Fainex, Mediosim, FutureSource ProNet, FutureSource WorkStation, MB Trading, S&P Comstock, MetaTrader, Excel, Bridge Channel, NextView, TeleQuote, WinBIS 700, DTN�s IQFeed and any generic DDE.